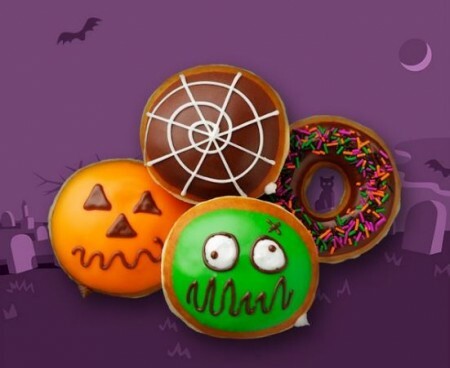 If you’re lucky enough to have a participating Krispy Kreme shop near by you can get a Free doughnut on October 31st when you wear your costume. 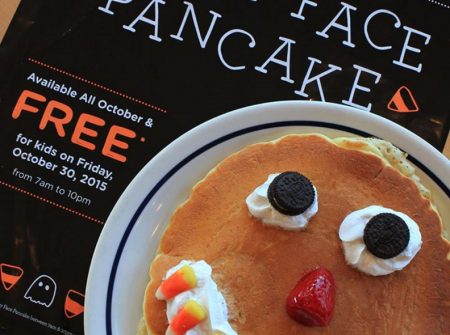 One doughnut per customer only at participating locations. The Cetaphil websites is haunted! 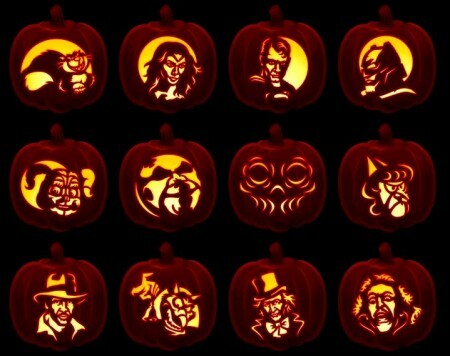 Search their websites if you DARE for a chance to win daily treats and grand prizes! Each day, a Jack-o-Lantern will be hidden in a new place on the Cetaphil website. They will display a clue on the homepage to help with your hunt. When you find the jack-o-lantern, click on it to reveal the daily entry form. 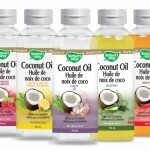 Fill in the form with your complete information for chance to win 1 of 3 daily FREE product prizes! Complete the hunt for 5 days or more and you’ll be entered for your chance to win the Grand Prize Pack – $100 worth of Cetaphil Products & a $75 Amazon Gift Card! Plus! If you aren’t scared of a little challenge search and find the Ghoulish Ghost for 5 days or more to enter for your chance to win the 2nd Grand Prize of $100 in Cetaphil Products & a $150 Amazon Gift Card. There is a limit of 1 entry per person per day. Contest ends on October 31, 2017. 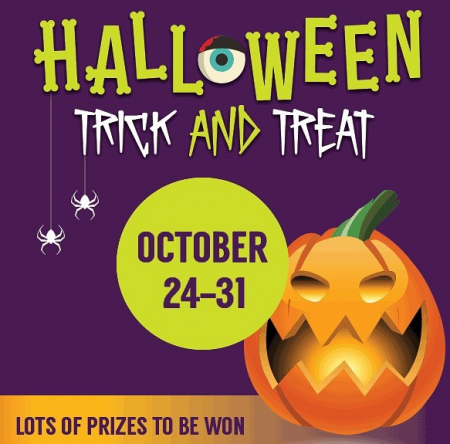 Del Monte’s FREE Costume giveaway is back! 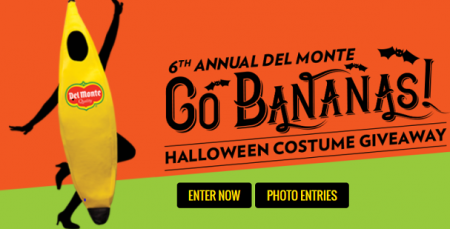 Enter to win 1 of 1,125 FREE Del Monte Banana Costumes. Simply follow the link and fill in the form with your information. 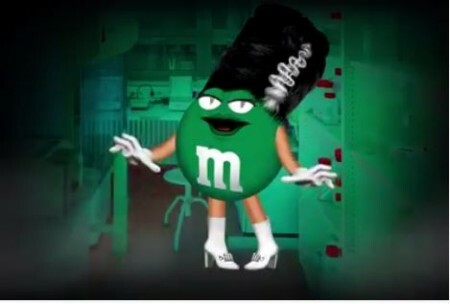 To increase your chances of winning you can upload a picture of past Halloween costumes. Limit of one entry per person. This contest ends on September 30, 2017. 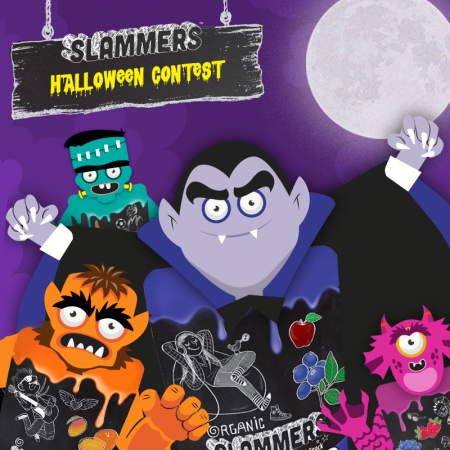 Hurry on over to the Slammers Facebook page and enter for your chance to Win 4 FREE cases of Slammers for Halloween! Simply comment on their featured post before October 14, 2016. Limit of 1 entry per person. Good luck! 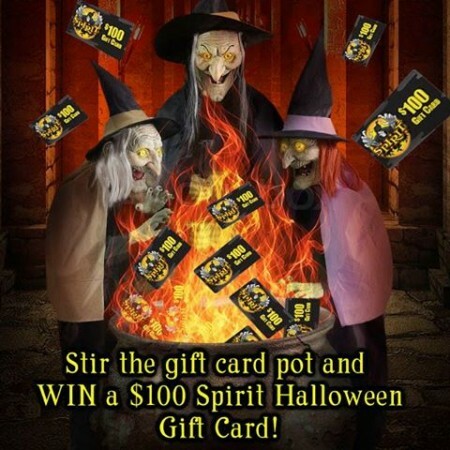 Head on over to Spirit Halloween Facebook page and Enter for your chance to Instantly Win a $100 Gift Card! Simply LIKE their page and fill in the form with your information. Limit of 1 entry per person per day. Contest ends on October 2, 2016. 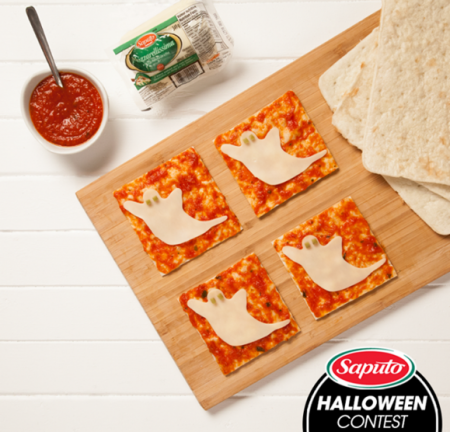 Head on over to Saputo Facebook page and tell them how you will be celebrating this Saturday of thrills and chills in the comments for a chance to win a Free $100 Gift Card to create a special family meal. The contest ends October 31, 2015. Good Luck! 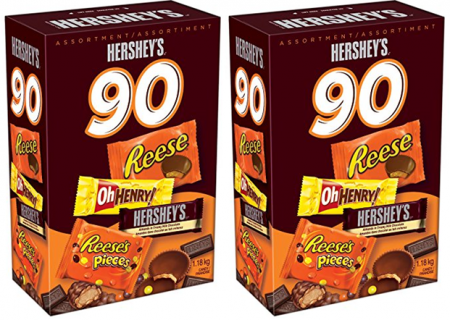 M&M’s Canada is having a Halloween giveaway on their Facebook page! 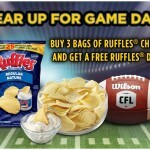 Enter for your chance to Win a Free M&M’s Prize Pack including a pair of Cineplex tickets! 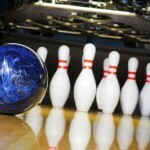 Simply follow the link and then comment on their featured post. Limit of 1 entry per person. 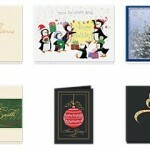 3 winners will be randomly selected. Contest ends on October 25, 2015.